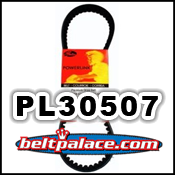 PL30507 Premium Drive Belt. Kevlar reinforced. 668x18x30 Belt. Measures: 5/8"x26-1/2". 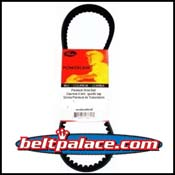 Belt QMB139 all Chinese 4T 50cc. GATES Powerlink Belt, Gates part PL30507. Heavy duty/High Milage belt. 668MM Length x 18mm Thick x 30mm Wide. THREE LEFT IN STOCK. ORDER NOW! GATES Standard Belt 669x18x30 replaces the following: Kinrod, Blade, Boxer Sahara, Powersports 150DX. Gates belt 20507. Standard duty. Measures: 5/8"x26-1/2". Belt QMB139 all Chinese 4T 50cc. GATES Powerlink Belt, Gates part PL20507. Standard duty belt.